Life program – Communicate 2 Connect Inc.
C2Ci is proud to be promoting and supporting Robert Gonzale’s “LIFE Program” over the next two years. Dear NVC Community Members, I’m excited to announce that I’m now accepting applications for the 2015/2016 AUS-NZ LIFE Programme. LIFE is an acronym for Living and Integrating Full Embodiment. 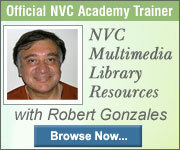 It is designed for people with intermediate to advanced skills in Nonviolent Communication. The purpose of the programme is to deepen our conscious connection to our own vital life force, to develop skills that support inner healing and to grow and strengthen daily practices that allow us to truly live LIFE to the fullest. The programme aims to have approximately 24 participants each year which supports deep, personal inner work and cultivates community that is so vital when we undertake and integrate transformational work. I hope that you will consider joining me in this journey and I look forward to hearing from you. I have found that to fully live with authenticity and compassion requires a conscious, embodied practice. As my personal exploration of NVC and spirituality deepened over the years, what’s emerged for me are practices and processes that give me practical pathways to living in the fullness of my deepest authenticity- what I call Living Compassion.For me, the essence of Living Compassion lies in a spiritual practice that has two distinct and fundamental components:1. Cultivating the beauty of my deepest essential self and,2. Restoring myself to wholeness and compassion by transforming life experience when I am disconnected – Living in Passion and Restoring our Wholeness through Compassion.The LIFE Programme is a two-year, intensive programme focused on the two-fold path of Living in Passion and Restoring our Wholeness through Compassion. Each of the four retreats will introduce practices and processes that serve this integration and development. The program will follow a developmental sequence going from inner work to application in relationship and community. There is a basic life current or impulse resonating in and through us as a yearning of the heart. This current and yearning manifests as human needs. Needs are the Life Force; Life moving in and through us seeking fulfillment, aliveness, well-being. There is a vibrant quality of wholeness in each need. Cultivating a deep and intimate familiarity with this wholeness is an essential practice that supports us in being able to live our lives fully. I found that when we develop this awareness, we transform our relationship to our needs and by doing so, we transform our relationship to Life Force, to our very being. Daily Meditations: walking meditations, dyad (paired) meditations and small groups. Dialogues centered in the Beauty of our needs, values, and longings. The work of self-compassion requires that whatever we are feeling inside, whatever previously we wanted to run from, that we tried to fix and get over-we begin to approach in a different way. We begin to approach it with the recognition that that which is inside of us is not the enemy, is not foreign or not alien to us. We can start to feel it beyond anything we can label and we start to feel life energy, a life current that runs through the experience. When we allow rather than resist what is inside us, it begins to soften and we feel it as a fragility or vulnerability. This experience is a deeply felt experience, not something we can intellectually understand. The understanding comes from a deeper place. When we can approach the life in us with this kind of openness and spacious allowing, then there is an unfolding of life in us in ways that bring healing and transformation. Living Compassion helps me bring my inner world into the relational world. The specificity of language that the processes teach can be a conduit for the full flowing of life energy rather than an obstruction to it. I want to connect to life as it flows through me so that I can connect to life as it flows through you. It is the same life. There will be opening meditation, talks, demonstrations working with participants, work in pairs, in small groups and in the whole group, time for sharing, questions and answers, daily meditations in various forms and body movement time. Play, dance and other contributions from participants are usually also offered. An important feature of the LIFE Programme is community. Sharing the vision and intention with a dedicated group of people deepens and accelerates the process of integration. Past LIFE groups have shared experiences of deep trust, openness and connection rarely experienced with other groups. The shared group intention seems to activate deeper potentials in participants and contribute to an intimacy and connection that I have found truly moving and inspiring. This is a two-year programme, 2015 & 2016. There will be two, 2-hour tele-classes that Robert will facilitate between the two retreats each year. Every participant will have one, 1-hour individual phone session with Robert each year. The programme will also include small group phone meetings (practice groups, empathy sessions, etc.) with participants-only. The cost of the programme per year includes tuition, room and board, and an administrative fee. Room & Board costs are approximate and may vary slightly prior to the start of the programme. Applications must be received by Sept 15 2014. We encourage you to apply sooner rather than later. The intention is to notify applicants of acceptance by October 1 2014.